Oranum Readers: Move on up to PsychicNetworkers Video Service! 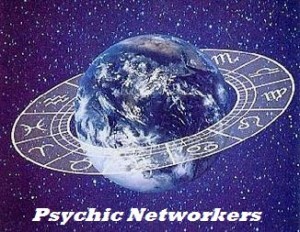 PsychicNetworkers Video Service has been built from the ground-up to create a better experience for customers AND psychics working on the line. If you have experience working on a site like Oranum or other video reading services, you’re going to love working with PsychicNetworkers! 1. Better pay: Our reader compensation is one of the highest in the industry. We provide you with a rate chart so you always know how much you’re earning.. no surprises, no questions, and unlike Oranum, you don’t need to earn a minimum $300 in order to be paid. We feel that the readers should be paid what they earned, don’t you? 2. Faster pay: Tired of waiting to get paid? We pay by the 12th of the month for the entire commission you earned the previous month. We’ll send you a regular check, or we can deposit to any USA checking or savings account using Bank of America’s secure payroll processing system. 3. Work for a US company: Don’t get paid in some weird internet currency that looses value when you convert to US dollars. We’re a company based in the USA, we send US$ payments. 4. Support: Don’t get stuck trying to do this on your own. We’re here to help with everything from sound checks and technical support to helping you bring more customers into paid sessions. Our management team has been in the psychic-network industry since the beginning… we’ve seen it all, and we know what it takes for readers to succeed. Our personalized support is what sets us apart from other networks. 5. Advertising: Want a high-profile website? We have it! Internet advertising and TELEVISION advertising ensures that our website will quickly grow to become the #1 source for video readings. 6. Be one of a few instead of one of hundreds: Tired of logging in and being one of 100 (or more!) readers waiting for customers? We’re keeping our pool of psychic talent much smaller… we’d rather have 5 or 6 people signed on at a time and being busy then dozens of readers not doing any readings. We’ll work with you to make sure you are able to grow your extension business with us. STOP wasting your time with other networks, and come work for a company that will appreciate your hard work and extraordinary talents! If you are a skilled, compassionate reader, we would love to talk to you about joining our team.